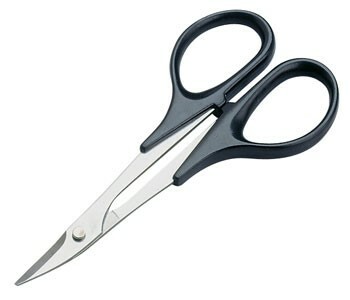 1" Super sharp curved tip stainless steel scissors. Perfect for trimming canopies, cutting trim and covering. No tool kit is complete without a quality set of sheers. 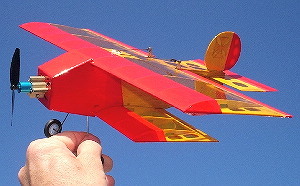 Blade length 1". Overall length 5.5". 4.9" hobby knife handle. Molded grip handle. Fits the larger size blades (bigger than #11). Stronger stiffer blades mean more carving power for heavier tasks. Complete with blade. 5" hobby knife handle. .410" in Diameter. Fits the larger size blades (bigger than #11). Stronger stiffer blades mean more carving power for heavier tasks. Complete with blade and safety cap. 6" hobby knife. Adjuster to tighten blade is on opposite end from blade. Stays tight in use! 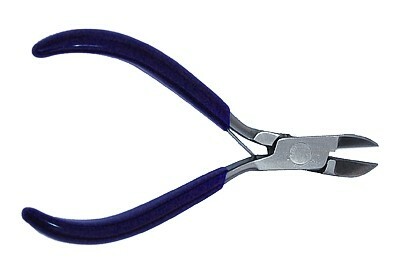 Soft rubber handle in colors: purple, black, grey, red, blue or green. Uses #11 blades. Sold as 1 ea. random colors. 5 pcs, #17 Techni-Edge Hobby Knife Chisel Point Blades. Fit above Hobby Knives, Techni-Edge, Xacto and etc. Come in a protective plastic tube. Contains 5 blades. Genuine X-ACTO brand #11 blades. 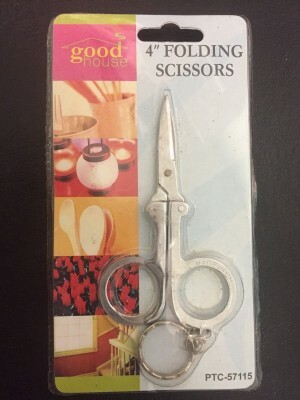 Contains 5 blades. This often overlooked blade is perfect for shaving off humps and bumps. sharpened on one side, use much like a chisel or plane for small work areas. Fits anywhere a standard #11 blade fits. 10 pcs, Economy #11 Hobby Knife Blades. Fit above Hobby Knives, Techni-Edge, Xacto and etc. Small plastic protective, container with resealable cap, perfect for your field box. Techni-Edge Handy Snap Blade Knife. 13 points on snap blade. When point gets dull, just snap it off with pair of pliers. 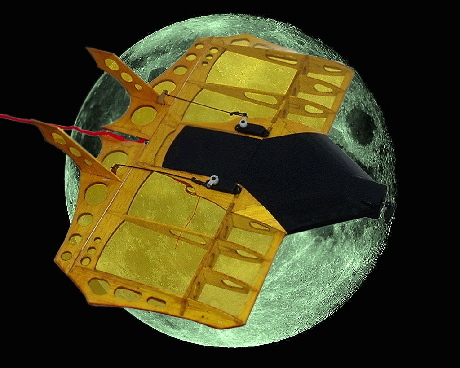 Blade retracts into handle for storage. Made in USA. PTC Snap Blade Cutter with 2 Extra Blades-Metal Blade Holder. 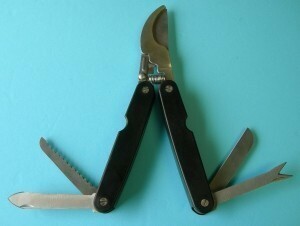 Handy Snap Blade, Retracable Metal Knife with shirt pocket clip. 13 points on each snap blade. When point gets dull, just snap it off with pair of pliers. Techni-Edge Handy Snap Blade Knife. 13 points on each snap blade. Comes with 2 extra blades. When point gets dull, just snap it off with pair of pliers. Made in USA. Techni-Edge 01-091, 6" Swivel Hobby Knife. 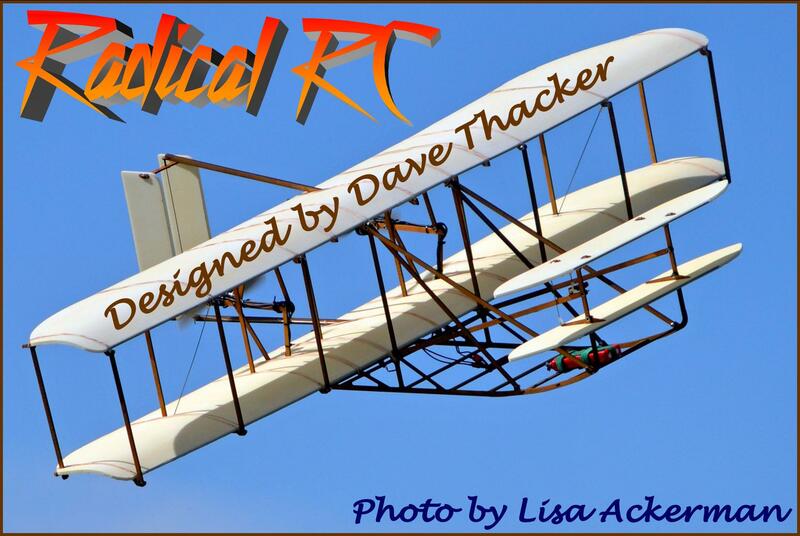 Blade rotates 360*. For cutting circles and curves. Aluminum handle. Requires TE01-092 Swivel Blades. Made in USA. Techni-Edge 01-092, Swivel Hobby Knife Replacement Blades. Blade rotates 360*. For cutting circles and curves. Blades mounted at factory in special plastic blade holder that fits in TE-01091. Two blades in a Pack. Made in USA. Note: Photo is highly magnified, this unit fits in a knife holder as listed. Set for right or left hand use. Easily cuts balsa into strips of 1/32" increments - up to 1/2" wide and 1/4" thick, adjustable by micro-increments, replaceable blade. K4" x 7.5" cutting mat. 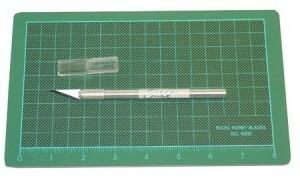 Genuine X-Acto brand hobby knife and spare blades. Kit created for the hobbyist that requires a smaller working area for precision projects. Each kit contains 5 1/2" x 9" Self-Healing Cutting Mat, a #16001 knife with super sharp blade and safety cap. Uses standard #11 blades. Techni-Edge #1, 6" hobby knife. Adjuster to tighten blade is on opposite end from blade. Stays tight in use! Soft rubber handle. Made in USA. 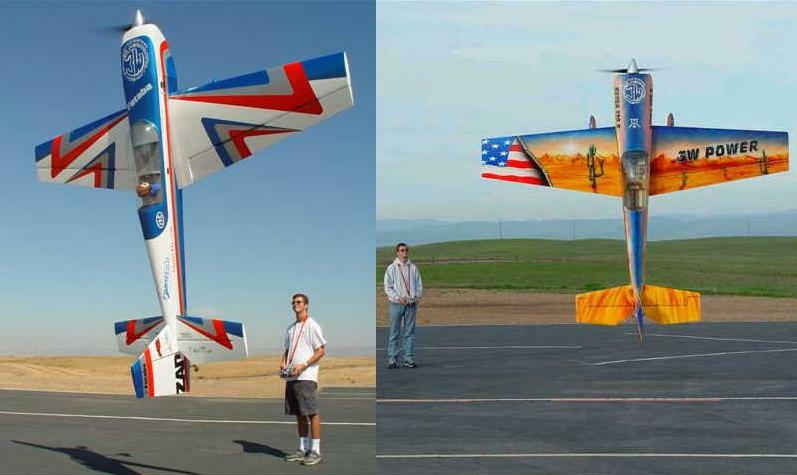 Uses standard #11 hobby blades. Handy home hobby shop tool for trimming plywood and other woods. 1 1/4" wide blade is adjustable for cutting depth. 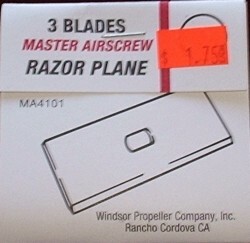 Pack of 3 spare blades for Razor Plane. Handy tube cutter for your shop or field box. Cut tube 1/16" to 5/8" O.D. For cutting copper, aluminum, brass and thin wall tubing. Great set of needle files. No modelers workbench should be without. Round, Square, Knife, Triangle, Flat, Bevel all with various tip profiles. Use for burr removale, shaping, grooving, and other fine detail work. 100 pcs Premium #11 Techni-Edge Hobby Knife Blades. 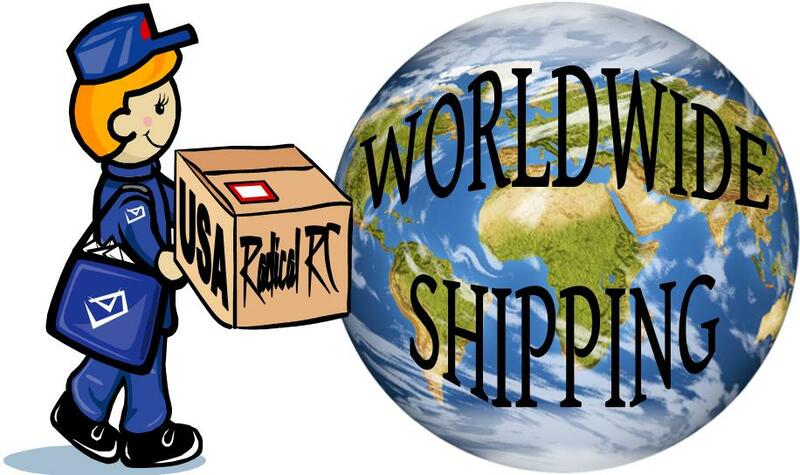 Fit above Hobby Knives, Techni-Edge, Xacto and etc. Made in the USA. One box will last you years. 5 pcs, #11 Hobby Knife Blades. Fit above Hobby Knives, Techni-Edge, Xacto and etc. Small plastic protective, container with resealable cap. Perfect for workshop or field box. Contains 5 genuine X-ACTO brand #18 blades. Fits the larger heavy duty X-Acto handles like the #5 and #6 handles. These are too large for your standard #11 hobby knife handle. 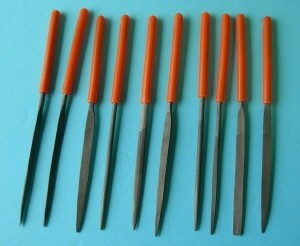 Side cutters for cutting electical wire, plastics and other soft metals. Cutters are flush cut on one side. New Scalpel, No.11 Blade style. These are as sharp as it gets. Plastic handle, hermetically sealed.